You’re feeding them WHAT? Well, antibiotics, hormones, and — HEAVY METALS? It’s spring, time to dig in the composts and pile on the mulches, so the blogging world is full of advice and debates about manure. 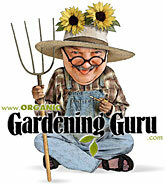 Stuart of Gardening Tips and Ideas has just weighed in on the side of sheep manure, while Elizabeth and Michelle of Garden Rant defend manure against all comers. Me, I can hardly bear to think about the stuff. The minute I hear the word “manure” I start to twitch and moan; observers report having heard mutterings of “No, no,” and “Tell me it isn’t true.” I wanted to post on this topic (the manure, not the moans) weeks ago, but after the incident with the broken blood-pressure cuff, my doctors warned me not to write about it for at least a month. It’s all about the stuff they add to animal feed. I stumbled over it when researching the compost article (how else?) and haven’t entirely recovered. Here’s what happened. We all know (I assume) about the antibiotics and hormones in manure, but I got more and more curious about repeated mention of heavy metals and salts. It’s such a prevalent problem that farmers hesitate to use manure as a fertilizer, and gardeners are warned not to use heavy treatments year after year. Arsenic, for instance. In many parts of the country, poultry raised for meat are fed arsenic compounds as an appetite booster—you want these babies to gain all the weight they can, after all, not just to eat what they need. Regulations—about whether or how much arsenic can be included in poultry feed, about acceptable arsenic levels in compost, or in soil—all these vary by state, and they vary hugely. In Prairie Grove, Arkansas, poultry litter was regularly used as a fertilizer by poultry farmers. The dust at application time drifted into homes and schools. Then people started to fall ill with rare cancers, including leukemia, and brain and testicular cancer. A number of people, including four children, have died. Many more are ill—and all this in a town of 2,500. Numerous lawsuits have been filed, and are wending their ways through the courts. Pig feed contains copper compounds for the same reason. One recent German study found that cattle farmyard manure contained 25 mg/kg of copper, but pig farmyard manure contained over 200 mg/kg —more than eight times as much. Pig slurry, however, was as high as 530, and slurry from young pigs more than twice that again. Then there’s the zinc, which is also incredibly high in pig slurries. As for the salts, this is not quite clear. Many of the metals are also, technically speaking, salts, but whether the warnings about salt buildups in soil refers to these or to more ordinary table-salt salts (sodium chloride and closely related chemicals) I’m not yet sure. (If you know, tell me!) Mammals do excrete salt to some extent in feces and even moreso in urine, which is often mixed with feces to create manure. So the salts are at least in part “natural,” though I’ve certainly seen several references saying that manure from feedlot cattle contains higher levels of salts than that from, say, dairy cattle. Ditto with the tranquilizers fed animals in feedlots; after all, you’d panic too, if you’d been shipped to this insanely crowded place after spending your life in a stall not much bigger than your body. So by all means, pour on the hydroxyzine, reserpine, and trifluomeprazine. But I draw the line at the metals, especially when they’re added to feed in such quantities that the manure is too toxic to apply to farmland. Not to mention, so toxic that if people breathe the dust, they get cancer. Tell me: why do we poison our food? 23 Responses to You’re feeding them WHAT? Well, antibiotics, hormones, and — HEAVY METALS? Great post, Kate! Our six heritage-breed hens get organic feed sans metals and the like, and their composted manure goes on our veggie beds without so much as a blink, much less a shudder, from us. Yet another case where the old ways work best! Kudos, another wonderful post that I hope opens some eyes to the dangers inflicted upon our food. Yum arsenic. And you didn’t even mention the herbicides that don’t break down and go through the cow and end up in the manure. Last year I hears such a ruckus from the allotment blogs when their crops wouldn’t grow. I mean really just because they are trying to do the natural thing with manure and end up with herbicides all over their crops. Sigh. Ick! You need to turn this post into an article for Mother Earth News. It’s important information. I do use manure from my own chickens. Laying hens, I’m glad to say. However, I mostly use leaf mulch and leaf mold. Works well. Geesh! I used cow manure in my garden for the first time this season. It was only one bag that I mixed with all the other compost I had, but I have seen the error of my ways! Thank you so much for posting this info on your blog. P.S. I don’t mind the CAPTCHA one bit. Darn spammers! OFB–How I wish I had my own chickens! Do you add their manure to your regular compost pile or compost it separately? Thanks, Heather. This was a real eye-opener for me, and not a welcome one. Daphne–Oh God, the herbicides. No, I pretty much stuck with the awful stuff that’s added to feed AFTER it’s grown. I was afraid that if I thought about what’s done to it WHILE it’s growing, I’d really go ‘round the bend. Did you blog about this allotment fiasco? Do you know it was the herbicides (and not the metals, or the salts, or hormones, or the antibiotics—did I leave anything out?) that did the damage? Dee, thanks. I wonder if Mother Earth has gotten onto this? I was actually surprised that there wasn’t more out there in the lay press about this stuff. David–Oh boy, the great gods of good compost are coming to get you. Actually, one bag shouldn’t do much damage. But if it’s steer manure, I’d never buy it, period. (Another thing I didn’t get into here.) In fact, I’d be leery of any manure in bags, unless it says “organic,” and that had better include the hay the beasts were fed, so as to avoid the herbicides Daphne mentioned. Excellent post of information that I’m willing to bet many kitchen gardeners have not considered. That are so many harmful things in the environment because of the Big Ag practices in our country. It is hard to be on guard, no matter how vigilant we are, against all of them. I agree with some of your other commenters: This information deserves wider dissemination. Have you heard about the BIG news story about manure over here Kate? Some of it’s been contaminated with herbicide. Yep certain herbicides go right through a cow’s gut and are still active enough to affect subsequent crops. Luckily my manure last year was OK, but another allotment site in our town was affected apparently. I’ll see if I rootle out some links for ya. That’s “ikml” at the end there. I edited this so it could be seen and followed by others. Thank you so much, Dorothy, I appreciate the support. It makes me angry that this best of all fertilizers and soil conditioners gets poisoned because we have let our desire for bigger/faster beat out all other considerations, even safety. VP, this sounds like what Daphne was talking about in the comment several above yours. She mentioned “allotment blogs,” and that has to be British. Thanks for the URL; it got chopped here on the page, but not in the TypePad comments list. I’ve looked at that and several other sites—yuck, ugh, disgust and fury all mixed and tangled, a most uncomfortable feeling. THAT’S AWFUL, and yes, it’s precisely the sort of thing I’m talking about. Why didn’t I hear about this last year? I must have had my head in a hay bale. I’m glad that I use mushroom compost and worm castings. With a big dog, I’ve never used animal manure ~ he’d be rolling in it in no time. Sad to think of what our animals are fed. Scary stuff. Kate – glad you found the link useful. The amazing thing is that this stuff is effective for 2-3 years IN the manure! Back to your original topic – I used to work with a lady from Holland. One day we were talking about how tall Dutch people are. She was sure it was because of all the growth hormones fed to cattle which went through into milk, cheese etc. She didn’t have any evidence though, so that’s just anecdotal. Despite helping my grandparents shovel a lot of it out of their sheep barn to give to gardeners, I don’t know much about manure–thus, I have nothing to contribute. I just wanted to say that I learned much from reading this. It made me think about that sheep manure, something I’d not done in a long time. The reason I came here in the first place was to thank you for dropping by and commenting on my blog, which I assume you found through Pam’s blog (Tales from the Microbial Lab). I don’t know much about gardening, though I’m giving some strong consideration to starting a little window-box/indoor herb garden. I look forward to learning from you. Well all I can say to that is ‘HOLY CRAP’!!! Scary stuff, luckily we use mostly our own lottie made compost but we do get alot of cow poo delivered to the plots too. It has been throughly tested for problem additives like VP mentioned but then are they going to tell us about all the heavy metals etc, if that is considered ‘normal’?? We so need articles like this. Thanks for sharing. Ewww … so many things need to be learned. Kate .. I just read this post now .. I’m a few days behind .. it makes me sick to think about it all .. we won’t need a comet crashing to earth exterminating all life .. we can do it all on our own with no help from space. On the lighter side .. does this mean I can eat all the chocolate I want now since the clock is ticking so loudly ? .. sometimes you just have to laugh right ?? I don’t think it’s just in the feed – if the animals are vaccinated there is likely to be mercury, aluminium added into the load. Arsenic is commonly found in groundwater and fruit and vegetables produced in volcanic areas and was used through much of the 20th century as a fungicide (I think) in orchards. So lots of contaminated land around, arsenic more widespread than you might think. May be one reason why the homeopathic medicine, Arsenicum Album, is most often helpful after food poisoning. Kate I was looking for your email address to ask you if you wanted do write a review for us, but I couldn’t find it, so I was hoping you could email me. Also, your “About” link at the top right is broken. This is a good article to encourage gardeners to think about what amendments they put on their garden. Our gardens are one more part of the food chain, and those components get passed along, from animals to plants, and sometimes to us. Sigh, more bad news from the industrial farming front. Thanks for very informative post. I’ve been using small amounts of manure which I will now discontinue. Have you come across anything about contaminants in crab meal? That’s the primary nitrogen fertilizer that I use now. –I would be too. Good plan. As for the big dog—I think Skippy’s Vegetable Garden had a post about Skippy rolling in the manure…. VP–Too awful about the herbicide in the manure, and too funny about the Dutch. I don’t believe it though; I think the Dutch have been big-boned for centuries. I’ve got a memory that the Japanese found them even bigger than other Europeans. John B–Thank you! And yes, you’re right about how I found your blog; amazing how poetry brings people together. Carrie— ‘HOLY CRAP!’ sounds about right. You are lucky that your manure gets tested. Also about the metals. I’d ask what, exactly, they’re testing for. blossom—“… so many things need to be learned.” Yes, and so many end up being unpleasant! It’s really not fair. Speaking of being a few days behind, Joy, I’m only just getting to these responses. You’re quite right about being able to do ourselves in without help. Maybe that’s why we dream of comets—it’s guilt-free annihilation! And by all means, chow down the chocolate. No excuses needed. Oh my gosh, Scattered Gardener I never even thought about vaccinations. Why is there aluminum them? (Do I want to know?) My reading backs you up on the arsenic found in both volcanic soils and in orchard soils, which is why orchards that have been converted to farmland or residential plots are a real issue. I don’t know about Arsenicum Album. Should I carry it in my back pocket? Chris–Oops. Thanks for the head’s up. Northern Shade, Thanks for coming by. What goes around comes around, right? Michelle–Can you get organic manure? Crab meal I know nothing about. Frankly, I’m afraid to investigate. 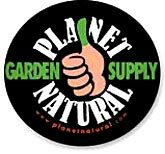 No, seriously, if you’re getting it from an organic gardening source you trust, it’s probably perfectly okay. Here’s the deal on mushroom compost. The mushrooms are grown on manure with a straw mulch! Learned this from an extension agent. Also asked the extension agent if the manure is organic and she said yes. I’m now stuck with 6 yards of composted manure from a dairy farm! Live and learn! Welcome, moi–(that sounds as bit odd, but I do mean it.) That’s the second time in a week I’ve heard something bad about mushroom compost. Sounds like it’s time for a post on the topic. As to whether the compost manure is organic–I suspect that depends on the outfit.